The Kamouraska Tour is a loop ride through the beautiful Kamouraska region and along the former Monk railway line, which features wide turns and gentle slopes. It mostly follows Trans-Québec trails #5 and #35; only about 25 km (15 mi.) of the ride are along regional trails #526 and #553. 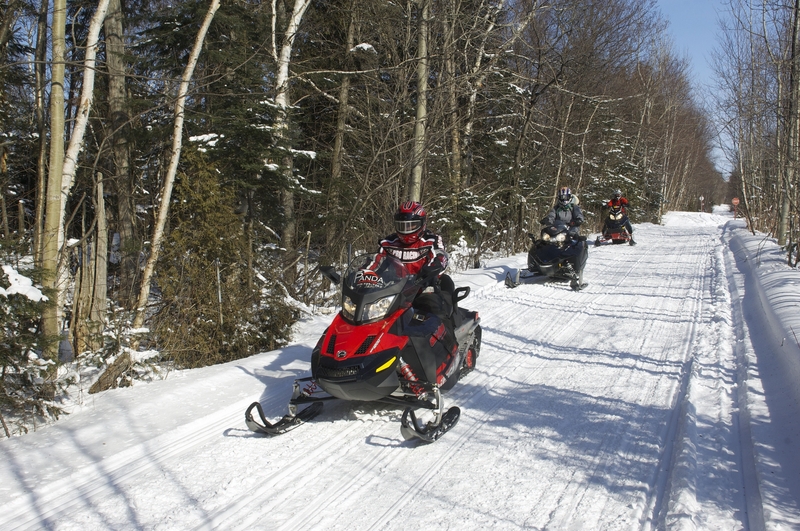 If you spend the night in the sector between La Pocatière and Saint-André-de-Kamouraska, this tour makes for a great snowmobile day trip. For lodging suggestions, visit the Tourisme Bas-Saint-Laurent site.